Star Wars Card Trader Weekly Round-Up – News, Tips & Strategies! Our weekly round up will be divided into three sections from here on out. “News”, “Our Week,” and “Tips and Strategies.” “News” will let you know such things as when sets come to an end, what new inserts are starting, and other relevant information. “Our Week,” will detail how each of us did the previous week such as great trades, great pulls, and greatest losses. And finally, “Tips and Strategies” will be tips that you can use to try and beat the odds and get the cards you want. It was a quiet week for those of us who like the Badges inserts. Badges of War are some of the fastest selling cards in the game, with sell outs often times in two hours. Yet they have been absent for over a week as of this writing. No word when they will be back. Topps introduced a new set which is beautiful and maddening at the same time. Star Wars Reflections is an insert without a pack to pull it from initially. The first Reflections was Greedo. When you pull a base Greedo, a pack would open with varying odds based upon the color base Greedo you pulled. You then had a chance to pull a Greedo Reflections. Those with a lot of credits or good luck were rewarded with an awesome looking card. Star Wars Manga has come to an end. It was a fun set to collect with maybe a few too many Vaders but it wasn’t hard to pull or trade for the cards you needed. The last card was released today, and you have until Sunday, July 25 at 3PM EST to have all the cards in the same variant to receive the Award Card. Classic Art Cards resumed this weekend and there are only a few more cards coming before Series 1 comes to a close. This weekend, it was Classic Art Stormtrooper. The final card count was 4,635, making it one of the lower numbered cards of the Classic Art line and harder to find down the road for those wishing to complete the set. And finally, Topps introduced a Star Destroyer Pack that had a massive amount of inserts across multiple sets. The idea was to clear out some of the sets that had harder to find cards languishing. It was an awesome and fun pack to pull. The real fun was finding people to trade those inserts with later. Hopefully Topps decides to have some of these packs every so often as they seem to be have been really popular. I had a pretty awesome week overall. I’ve been able to keep up with all the sets that I’ve been collecting except Classic Comic Covers since there are two or three active inserts at any given time and I hate pulling dupes. When I first started SWCT, I had no idea what I was doing. So when I saw different packs, I had no idea what was in them. With that being said, I missed the chance to get the Star Wars Rebels Inserts. I’ve been slowly trading for them but Hera was a hard one to get. One of the cards that I pulled from the massive Star Destroyer Pack was a Pink Variant Classic Comic Cover 4 (500). 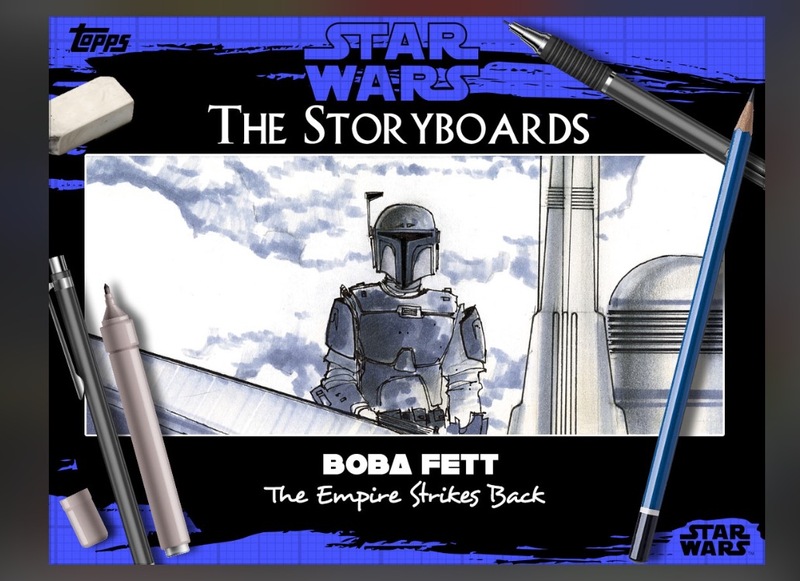 I was able to trade that to a trader for the then current Classic Comic Cover that I needed and a Blue Variant Boba Fett Storyboard Card (1,000.) I then was able to flip that Boba Fett card to a trader for the Hera I’ve been searching for. Card counts don’t matter to me. I don’t look at it as I traded a low count card for two higher ones, and then one of the higher count cards for an even higher one at that. I collect based on what I like, and if a lower count card that I don’t care about can get me a higher count card that I love in the end, then it’s a successful trade for me. My days of using SWCT started in April. However I was like the kid who wasn’t invited to the cool kids iOS party who had been using the app long before us Android users got it. Once it hit the Google play store I was all in. I didn’t know much about the app just like Mark. So I didn’t know inserts were the name of the game. Once i found that out, I chased what I liked. This week was a fruitful week for me. Starting on Sunday the 12th, I spent my last 10k on an Elegant Weapons pack and pulled a black Darth Vader. I yelled and proceeded to scare my wife; to this day she still doesn’t get my obsession with this game. 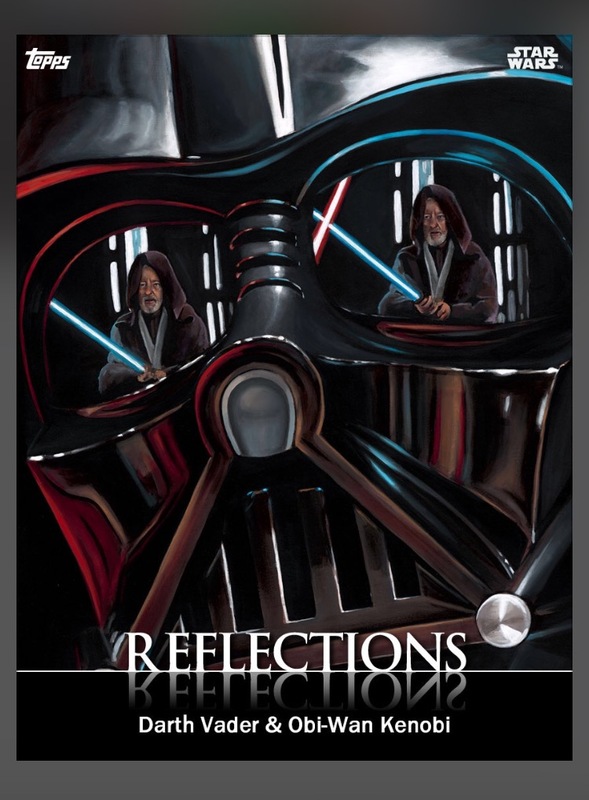 With average pulls of Manga, Storyboards, and Classic Comics, we were introduced to Reflections. At first I wasn’t too hot on this set due to the prerequisites of the pull. However I missed out on the Greedo, but was able to pull the Vader. It cost me about 60k to do so. I pulled the red Obi-Wan spirit, so that put my odds at 1:50. I am a big fan of Classic Art, so when they brought it back this weekend, I made sure I had the credits to chase. I pulled a trooper in my third pack. It was a very good week for me. I’m looking forward to better sets, greater character exploration and the thrill of the big pull. My week was uneven. I generally don’t chase many sets so my focus the last few weeks have been Manga and Badges. I’ve also enjoyed the new Storyboards which I’ve managed to generally keep up with thanks to the fact that Manga and Badges slowed down last week and look like they are about to wrap up. I find that I can’t chase more than 2 sets at a time. I also basically ignore all base cards. What got me in trouble this week was taking a stab at the Reflections set that both Mark and Andrew like. It’s an attractive set and I managed to pull a base card so I decided to try for the insert. Of course “I’ll just try once” turned into much more than that and I was left with depleted credits. Fortunately, thanks to friendly trades and blind luck I still managed to keep up on my focused sets. We hope to give you our takes on what we like, what’s hot and some friendly tips here and there. Our first tip is probably the most basic, but also the most important – Remember that this is a game. Have fun and collect what YOU want. Because that’s what really counts. Having 4,000+ base cards of BoShek can be just as impressive as having all of a Manga set in blue. Different strokes for different folks. Enjoy and have a great week of trading!